The 39th Ryder Cup looks pretty even this year, even if Europe are venturing into America's back yard with the undisputed No. 1 player in the sport, Rory McIlroy. But what's the point in sitting on the fence? Sporting Index is the world leader in sports spread betting and specialises in offering 100+ markets on golf. 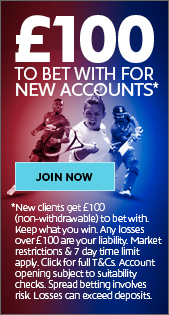 With the widest selection of specials markets, and unique bets you can’t find anywhere else, no-one offers bettors such an exhilarating way to enjoy betting on golf. 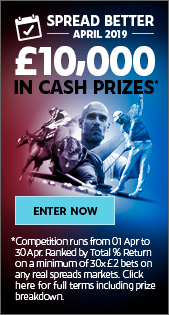 Sign up online today to enjoy the most exhilarating betting experience out there.